“When he entered Jerusalem, the whole city was in turmoil” (Mt 21:10). What’s that about? Why would Jerusalem be in turmoil over Jesus’ entrance? Maybe Jerusalem knows something we have forgotten. Maybe Jerusalem knows that this is more than just Jesus coming to town. Maybe his entrance into Jerusalem is a confrontation, a show down. Have you ever thought of Jesus’ Palm Sunday procession as a protest march? What if that’s what it really is? What if it is a resistance movement? What if it is highlighting the struggle that takes place in every human heart – the will to power or the will to life? I’ve come to believe that that’s exactly what is happening today. Palm Sunday, Jesus’ entry into Jerusalem, sets up a confrontation and it has the whole city in turmoil. Here’s why I say that. Historians and biblical scholars tell us that Jesus’ procession wasn’t the only one entering Jerusalem about this time. There was another. Jesus was entering Jerusalem from the east. On the opposite side of the city, Pontius Pilate, the governor of Judea, was entering from the west. It was a standard practice for the Roman governor and his troops to come to Jerusalem for major Jewish feasts like the passover, not out of respect for the religious practices of the Jews, but to be in Jerusalem in case there was trouble. The way St. Matthew tells the story, Jesus intends his entry into Jerusalem to make a statement. Jesus has already taken care of the details. He sends two disciples to bring him a particular donkey and her colt that are tied and waiting at a particular location. This isn’t chance or luck. Jesus has a plan. “If anyone says anything to you,” he tells the disciples, “just say this, ‘The Lord needs them.’ And he will send them” (Mt 21:3). It sounds a lot like Jesus has made his travel arrangements ahead of time. Jesus’ Palm Sunday procession is a demonstration countering Pilate’s procession, and the contrast is stark. Jesus rode a donkey into Jerusalem. Pontius Pilate rode a war horse leading a column of cavalry. One was a peasant procession, the other an imperial procession. One came with followers, the other with soldiers. One threw down cloaks and branches, the other carried weapons and armor. One demonstrated political protest, the other political power. 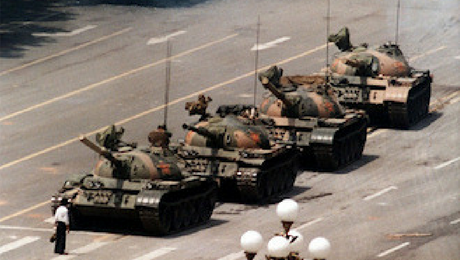 One was disarmed and nonviolent, the other came armed and ready for violence. One willed life, the other power. 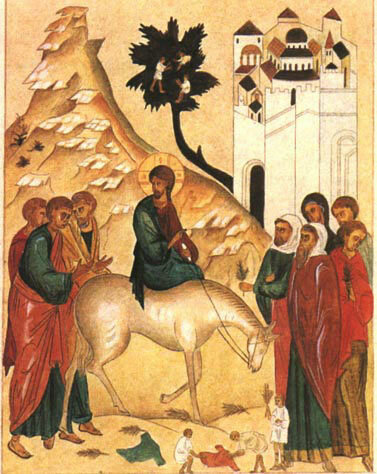 “Look, your king is coming to you, humble, and mounted on a donkey, and on a colt, the foal of a donkey” (Mt 21:5). St. Matthew quotes from the prophecy of Zechariah to make sure we understand what kind of king Jesus is. That prophecy goes on to describe this king as one commanding peace to the nations. There will be no more chariots, war-horses, or battle bows. (Zech 9:10) He is the king of peace and he stands in sharp contrast to the pride, arrogance, power, oppression, glory, and violence of the empire that rules the world. That was true then and it’s true today. Two different visions for life and the world are entering Jerusalem – the Kingdom of Heaven and the kingdom of Caesar. That is the central conflict of Holy Week. We will see it played out each day this week. I can’t help but wonder, how far have we come since that first Holy Week? Is it any different in today’s world? In your life and my life? The will to power or the will to life; that’s the question. That’s what I want us to see and wrestle with today and throughout this Holy Week. If Jesus does, shouldn’t we? Think about times when you have experienced the will to power in yourself or in another. The will to power can show up anywhere: in our family of origin, our marriage, our church, our school, our workplace, our country. What was it like? What did you see? How did it feel? Who had the power and what did he or she do with it? How do you get power? The will to power is as old as Cain and Abel. It’s a part of the human condition, and it’s infected and affected you and me. My own experience of the will to power is that I begin to live closed, afraid, and defensive. I must always be strong and on guard. When I will to power the world gets divided between us and them, friend and foe, good and bad. I calculate, quantify, rationalize, and justify. There’s an edge and a hardness to life and my relationships. I take things too seriously and too personally. Others become means to an end. Motives and feelings are either disguised or ignored. I try to become overly self-sufficient. I need to be right, to prove myself, and to have the final word. I become the center of my world. Does any of that sound familiar in your life? What does the will to power look like in you? How is it expressed in your thoughts, words, or actions? And what about the will to life? Where and when have you seen that arise? What effect did it have? How did it feel? Whose faces do you see when you think of the will to life? How has his or her will to life changed your life? The will to life is as old and sacred as that first breath God breathed into the nostrils of Adam. When I will to life the world seems larger and more beautiful. I am open, vulnerable, and receptive. My relationships are characterized by intimacy and gratitude. I am inspired and I breath just a bit more deeply. My mind is open and willing to learn and change. My heart is open and willing to love, forgive, and risk being broken. The will to life lets me see the fragility of people and relationships. It invites self-giving, self-sacrifice, self-surrender. Concern for justice, compassion, and human dignity come to the forefront. God feels closer, more tangible, and located in the ordinary. I am wholehearted, enthusiastic, energetic. I no longer need to be in control. Life is not about me. Instead, I am about life. Maybe some of that describes your experience of the will to life. There’s so much more that could be said. What else would you add? How have you experienced and expressed the will to life? Two processions entered Jerusalem, and the whole city was in turmoil. The turmoil of Palm Sunday is not, however, limited to Jerusalem. The will to power and the will to life process throughout our world, our nation, our lives. Wherever they clash you will find turmoil. Maybe we need that turmoil. It shakes and awakens us. It reminds us that there are two processions running through our life, a confrontation is taking place, and there’s a choice to made. Which procession are we in? Which one do we choose? *The historical information about the two processions is from Marcus Borg and John Dominic Crossan, The Last Week (San Francisco: HarperCollins Publishers, 2007), 2-5. *The icon of the triumphal entry on this blog’s homepage is from Wikimedia Commons – By Unknown, Holy Trinity Serbian Orthodox Church, CC BY-SA 3.0. Thank you for helping us see the relevance of Palm Sunday in our lives today. In grieving the death of our son, I see the importance of choosing life- viewing the totality of his life rather than trying to figure out the “why”. In choosing life, I see the value of giving back to others rather than allowing my grief to close me off from the world. Again, thank you. You are so inspiring. Thank you and thank you Michael. Holy Week blessings to you Nikki. Beverly, I know which procession you have chosen. It was so good to see you and Gary. The will to life, I think, often begins just showing up – showing up in the grief, loss, and tears of life. You all do that well and I am grateful. You remain in my love and prayers. Thank you Marilyn. I hope this Holy Week leads you to the joy of Easter life. Yes, you may use quotations from my articles. Please credit and provide a link back to my blog. Thank you for asking.